As Season 13 of the Biggest Loser pushes forward, the contestants continue to amaze viewers with their astonishing weight loss. While the season of “No Excuses” has been riddled with divided teams and shocking departures, several common goals remain unchanged: losing weight and getting healthy. PEM Surface Creations is proud to be featured on this season and know that our Yoga Flooring is helping the contestants reach their goals – every soft, safe, slip-resistant step of the way. The trainers have designed a state-of-the-art workout facility for heart-bursting cardio and muscle-aching resistance workouts. These high intensity workouts take their toll on the contestants’ physical and mental being, and the trainers turn to the yoga studio to provide a relaxing, comfortable environment for stretching and low-intensity exercise. 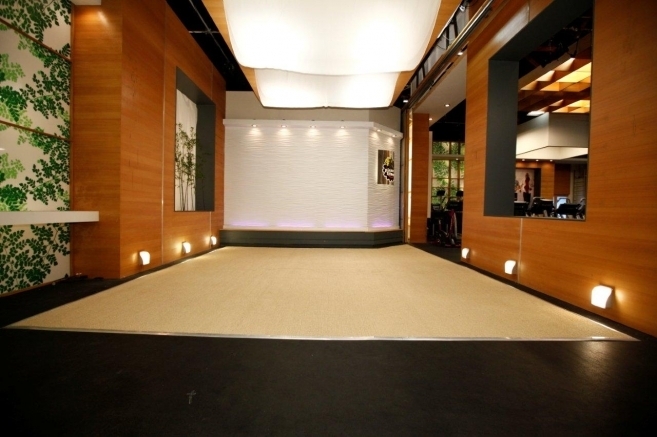 PEM’s soft matting has been installed in the yoga studio as the perfect flooring solution for this space. If you’ve been following along with this season’s antics, you’ll likely have spotted PEM Yoga Flooring in several episodes along the way. It seems to be a favorite of the red team. In Episode 2, aired January 10th, they were seen doing stretching exercises on the soft Yoga Flooring, while in Episode 5, aired January 31st, they utilized the Yoga Flooring as a slip-resistant surface for a cardio workout. If they keep this up, we might just have to cheer for the red team exclusively! 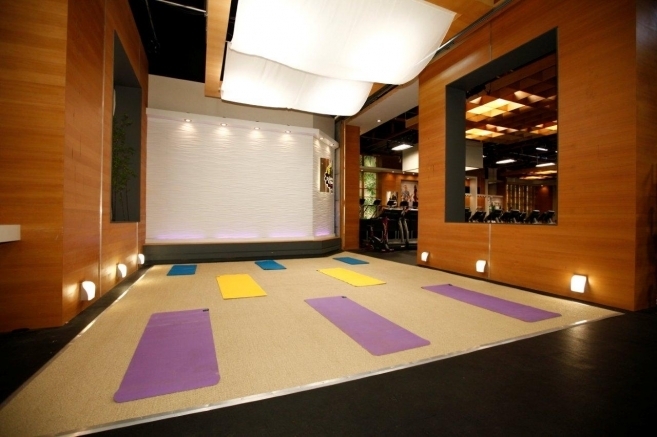 The unique features of PEM Yoga Flooring make it a perfect fit for The Biggest Loser yoga studio. The textured finish reduces slippage and the porous design allows for fast evaporation and a quick dry. Plus, our antimicrobial formula guards against the growth of mildew, fungi, and bacteria – an absolute MUST in a high-use facility like the set of The Biggest Loser. Keep your eyes peeled as Season 13 of The Biggest Loser continues. 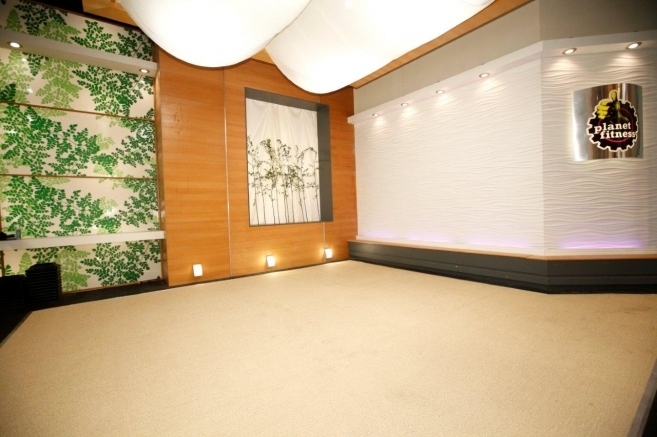 We’re sure to see more PEM Yoga Flooring along the way! Visit the PEM Surface Creations Facebook page for photos throughout the season and tune in Tuesdays at 7:00pm on NBC for the latest episodes.